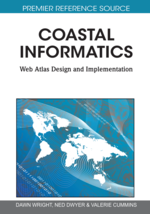 The content and technical features of coastal web atlases (CWA) were presented in the introductory chapters of the book and the previous two chapters visited user-oriented issues involved in creating and improving a usable atlas, including user requirements, audience definition, learning from use of the atlas, etc. However, in the absence of confirmed long-term resources or a guaranteed income stream to fund the on-going development and maintenance of an atlas, how do you secure the long-term viability and success of a CWA where the intention is that the atlas is not just a one-off “display,” but can develop organically? Several issues arise, including governance, institutional support, partnerships, funding and continued promotion. Ideally, these issues should be resolved prior to the web atlas being created, especially funding and institutional support (human and technical resources), if the atlas is to be successful in the long run, and not just another short-term ‘project’ that disappears from view when support dwindles. Also, over time, as atlas projects mature into on-going, demand-driven, sustainable information services, institutional and funding arrangements evolve as well. This chapter looks at some of the issues involved in attaining and maintaining long-term support for a successful online atlas. Establishing strong partnerships should be a precursor to creating the coastal web atlas as a service. Successful partnerships will span content providers, major user groups, the atlas developers, and those hosting the service. Identifying key partners is only the first step. Securing their commitment, especially in the long-term, is even more important. The web atlas developer must determine who, among potential partners, can provide the strongest support, especially in a sustainable way. Many organizations may come forward wishing to participate as partners, but not all will have the institutional capacity to be an effective long-term partner. Assessing the value of potential partners, i.e., what they can bring to the atlas, is a task for the developer or owner of the project. One useful tool may be a simple “Statement of Intent” or Memorandum of Understanding (MoU) to which potential partners are requested to subscribe prior to joining the web atlas project. This approach was used in the UK, where the initial partners to a coastal/marine spatial data infrastructure (SDI) project – the Marine Data and Information Partnership (MDIP) – were required to sign a Statement of Intent setting out a range of basic principles to which all MDIP partner organizations were expected to accede. While MDIP has since been replaced by a new initiative, the Marine Environmental Data and Information Network (MEDIN), it is worth reviewing the terms established for MDIP in 2005, as these reflect sound principles to be followed in developing a Coastal Web Atlas that involves multiple contributors and supporters. Of course, an MoU or similar statement of principles is of less value unless enforcement measures are also included, and neither MDIP nor MEDIN have such requirements. To accept that there are benefits to be gained from improved harmonization of and access to marine data and information. To implement the agreed recommendations of the Expert Group. To accept that the specific purpose of the Partnership is to provide a mechanism for long-term stewardship and access to UK marine and coastal data. The Partnership will include UK Government holders of marine data at its core, but is open to all marine data providers on an equal basis. Long-term stewardship will be achieved by convergence to a set of agreed data management and dissemination standards, protocols and operating procedures. The management structure of the mechanism will provide overall governance, standards and procedures, data stewardship audits, etc. Contributors will work towards the mutually agreed standards and procedures of the Partnership. Contribution to the Partnership will not restrict commercial use and exploitation of contributors’ data by themselves, but data or information contributed within the framework will be available for use for the public good. Some contributors will act as Data Archiving Centers (DACs), undertaking to receive, hold, conserve, undertake long-term stewardship / custodianship and make available, data submitted by data holders. Identification of DACs will be against criteria agreed by the Partnership. The Partnership will establish the standards and procedures and liaise with the leading key data providers in the harmonization of the overall approach. Key data providers will ensure selected data holdings conform to the standards and provide them to the MDIP to facilitate wider use. Once established and deployed, the Partnership will expand in coverage by enlarging the contributing base and the links to contributors. The Partnership management structure will drive improvements in web-based access to the data. In all aspects of its operation, the Partnership will strive to be an exemplar of best practice in distributed use of data.